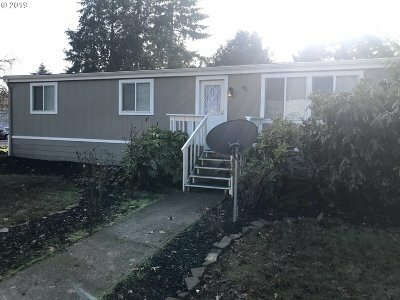 Fern Ridge Mobile Home Park requires screening for all residents. Remodeled manufactured home on a large corner lot. Home offers a forced air heat system and laminate wood flooring. Kitchen has a ton of cabinet space for storage. Includes a small shed and front, back and side decks.